Diners tend to squeeze out more mayo than they need. Sayang, 'diba? 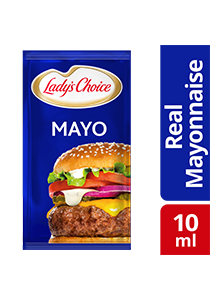 With Lady's Choice Portion Packs, you serve just the right amount every time. Each sachet is ready to use by your servers or diners, and is perfect for fries, burgers, and salads. Enjoy.